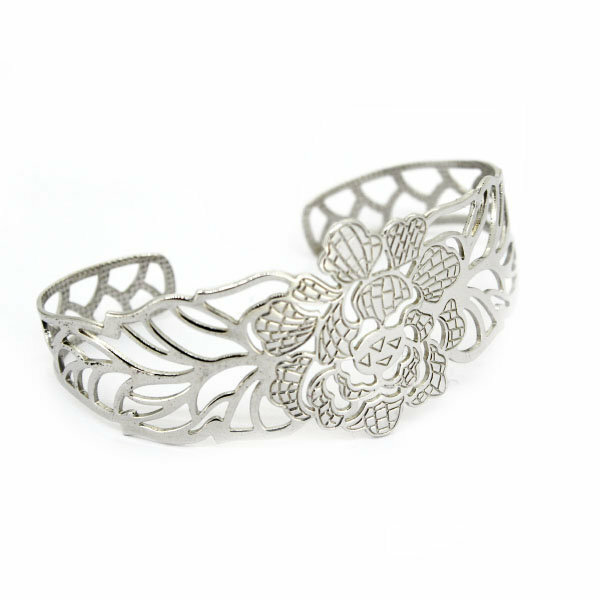 Bracelet silver textured Bangle, with floral design in silver rhodium-plated 925 thousandths. We deliver in original case of the firm Stradda. Product quality and fashion for every woman who likes to dress stylish and original quality designs.